For the king of all Toyota vehicles, the 2016 Toyota Sequoia at the top of the throne! When you’re looking for a car that is the epitome for all SUV vehicles check out the 2016 Toyota Sequoia. Toyota of Fort Walton Beach can help you land a new Sequoia today while saving money! Located at 1006 N. Beal PKWY, Fort Walton Beach, FL, Toyota of Fort Walton Beach serves Pensacola, Panama City, Wright, and Navarre, FL. When it comes to the friendly dealership, they're here to remind you how fun and easy shopping for a Toyota is. The 2016 Toyota Sequoia has an MPG Rating of 13 City / 17 HWY. Features include seating for eight passengers, 120 Cubic Ft cargo space, roof rack, moonroof, dynamic laser cruise control, JBL audio and a backup camera. The three models to choose from are SR5, Limited, and Platinum. Colors to choose from include white, black, gray, silver, crimson, pearl, sandy beach, and pyrite mica. The 2016 Sequoia comes equipped with a 381hp 5.7L 32-valve Dual independent variable valve timing engine. Standard safety features include front / side airbags, Star safety system (Vehicle stability control, traction control, anti-lock brakes system, electronic brake-force distribution, brake assist, smart stop technology), Hill start to assist control, blind spot monitor lane change assist, two-position power memory driver's seat and memory outside mirrors, rear parking assist sonar, trailer-sway control, Child-protector rear door locks, anti-theft system with engine immobilizer, and Toyotacare roadside assistance. In addition to the safety features, the 2016 Sequoia has an impressive list of interior features as well! Features include air conditioning with air filter, backup camera, 6.1" Touchscreen Display with Navigation with AM/FM CD player, eight JBL speakers, USB 2.0 port, auxiliary audio jack, ECO/ Sports, 6-way adjustable driver seat, fabric and soft-trimmed front and second row seats with 60/40 split seating, dynamic radar cruise control, Optitron instrumentation with blue-illuminated speedometer and tachometer, 40/20/40 split seating, leatherette-trimmed door armrest area with satin chrome interior door handles, power windows, power locks, cargo area with tonneau cover, power liftgate, glare-resistant mechanical inside rearview mirror, remote keyless entry system, smart key system with push-button start, digital quartz clock, and cargo area 12V auxiliary power outlet and grocery bag hooks! 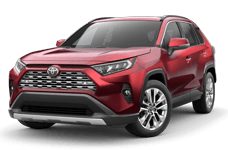 At Toyota of Fort Walton Beach you'll find helpful sales representatives who are attentive to their clients. You can never go wrong with the 2016 Toyota Sequoia. Dominate the road today! 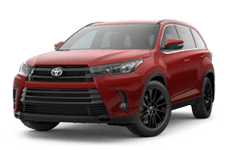 Come to Toyota for Walton for more information and a test drive. 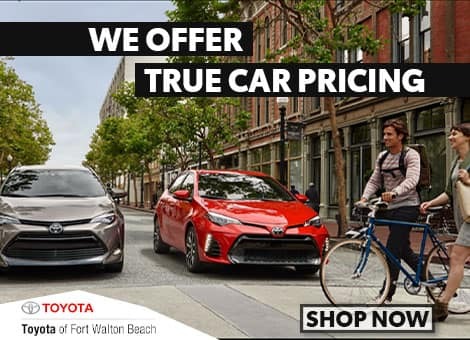 Located at 1006 N. Beal PKWY, Fort Walton Beach, FL, Toyota of Fort Walton Beach serves Pensacola, Panama City, Wright, and Navarre, FL.